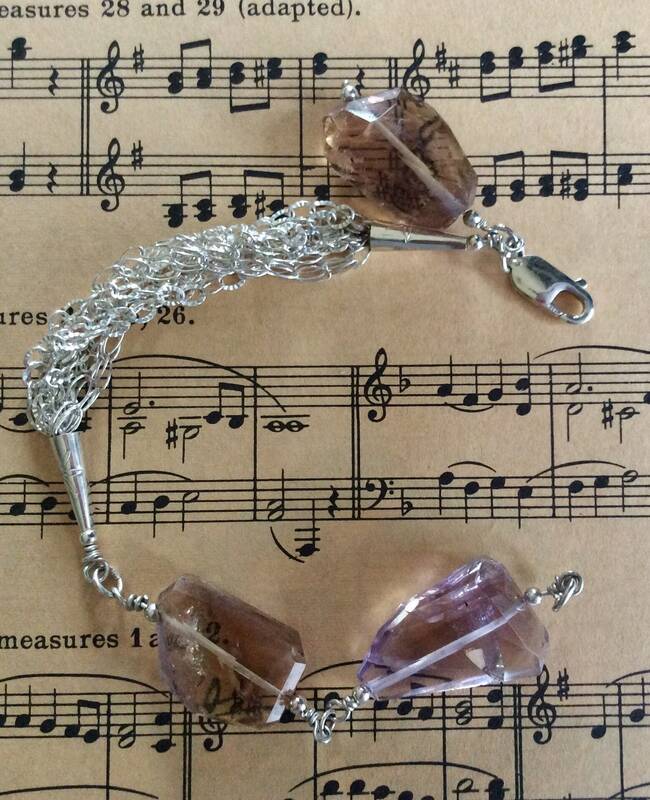 Ametrine and sterling silver bracelet! 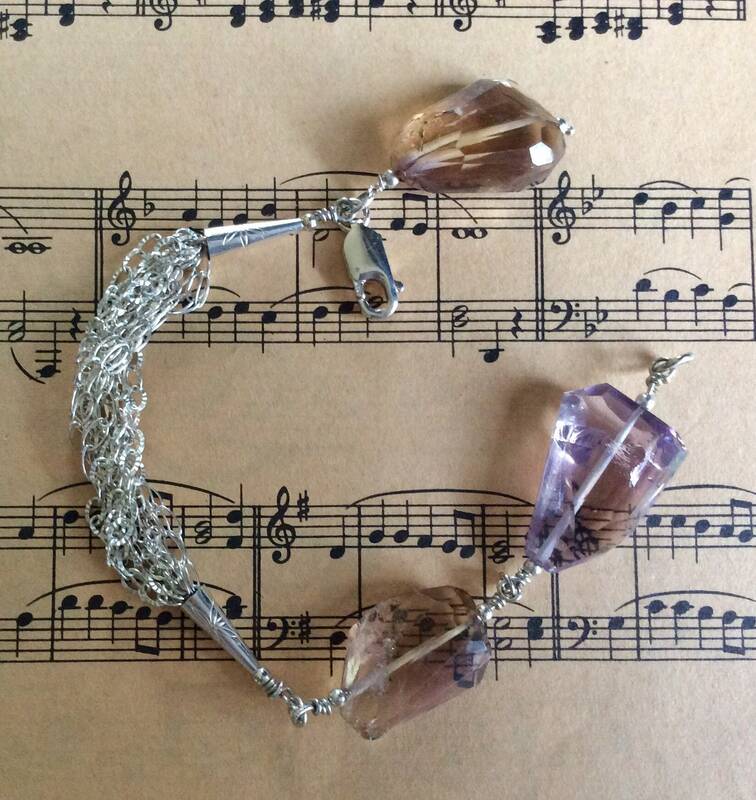 Ametrine is a favorite stone of Jesco Jewelry! The colors of blended purples and yellows are gorgeous! (As is this bracelet!). Gemstones are graded using criteria when they are described. These ametrine stones are graded AAA which is extremely high. 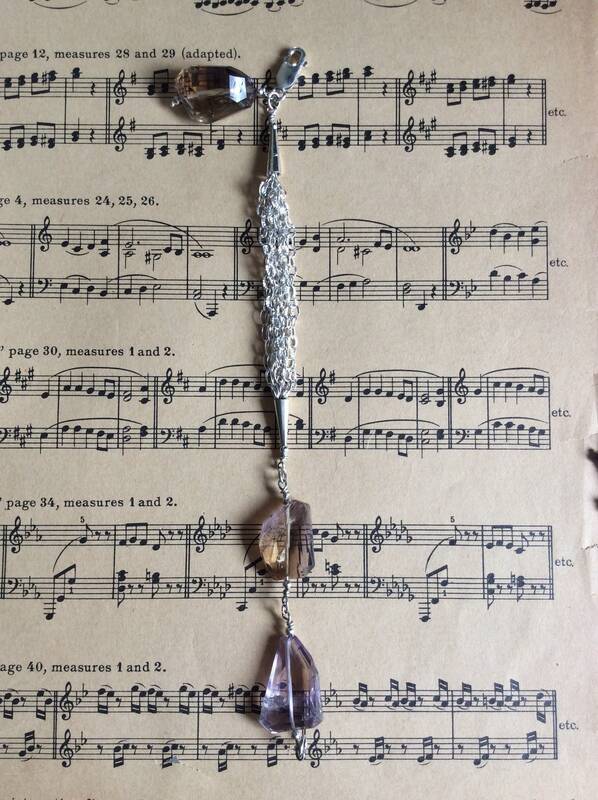 I’ve used sterling silver because beautiful ametrine stones deserve only the best! Every piece of metal used is .925 sterling. 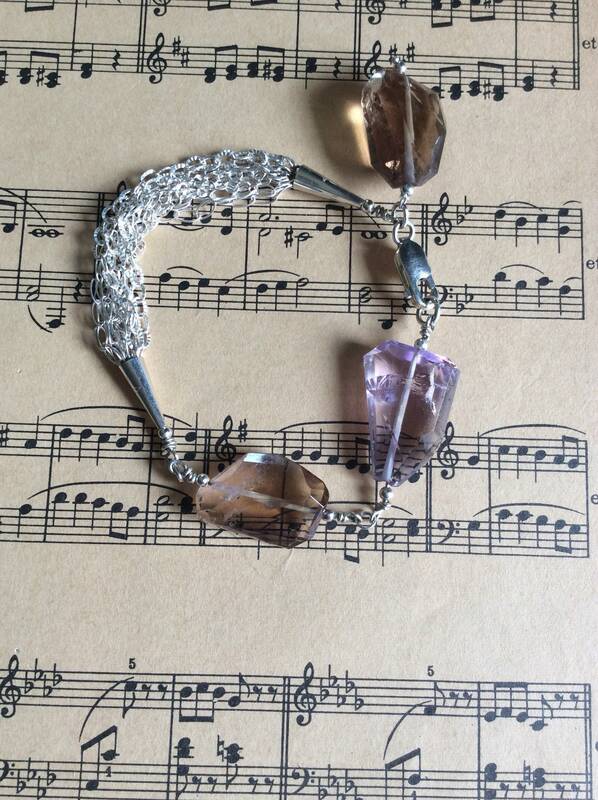 I created your piece to be part of my signature line of chains and quality gemstones bracelets. These stones are faceted randomly and highly polished. Inclusions are visible when a stone is cut this way. I love that the stones, complete with flaws, are finished this way. Its my opinion that my relationship with gemstones is like my relationships with people. They’re transparent and honest! This is what my designed and crafted jewelry pieces are about. Keeping it natural and organic, I aim to provide these attributes to everyday pieces and jewelry created for more formal wear. 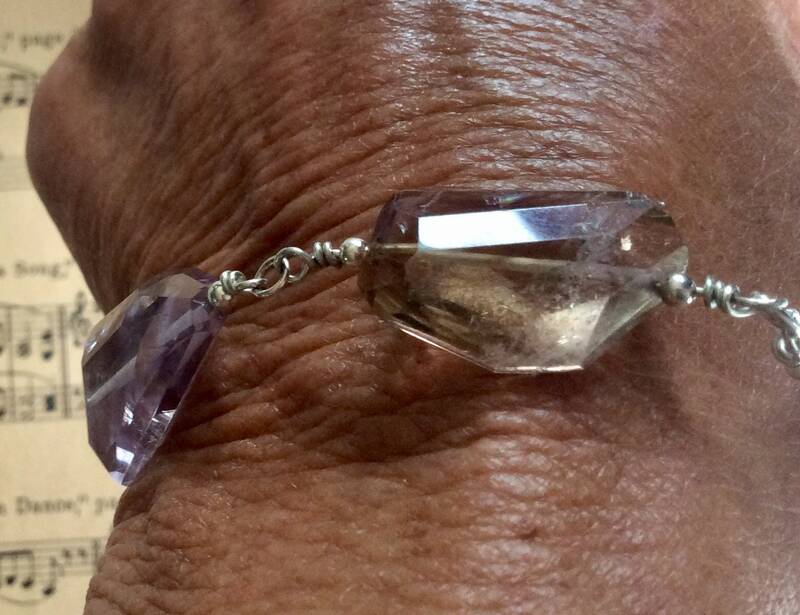 Your bracelet measures 7.75” when it’s laid flat. On my mandrel, it fits a size 6.75 wrist. This particular piece of jewelry can be lengthened slightly. If you’re unsure of your size, use a piece of string and wrap it snugly around your wrist. Measure the string and add 1/2” to that measurement. The resulting number will be your wrist size! Convo me with any questions you may have about measurements. In fact, please convo me with any concerns or ideas you may have. Repairs (within reason) are free. This is how confident I am about my workmanship. Shipping is free in the US.